Shave hours off every case with instant calculations, form auto-population and a collaborative client portal. It’s tax resolution minus the drudge work. Get a comprehensive look into your client’s personal, financial, and tax standing with simple tools to streamline and automate data collection. Obtain complex financial information from clients with a simple, straightforward survey. The results will automatically populate all relevant IRS forms. Send and receive sensitive files with drag-and-drop simplicity and bank-level security, while providing clients 24/7 access to important documents. Electronically pull every IRS transcript on your client’s record in as little as two minutes. Access 40-hours worth of transcript calculations, organized by year, and personalized to your client. Turn simple questions into real results. Tax resolution analytics instantly calculates smart recommendations based on your client’s unique case. Instantly identify the best outcome for any case. The information from the client survey automatically fulfills every calculation needed to check eligibility for scenarios like Offer in Compromise, Installment Agreement, and Currently Not Collectible. 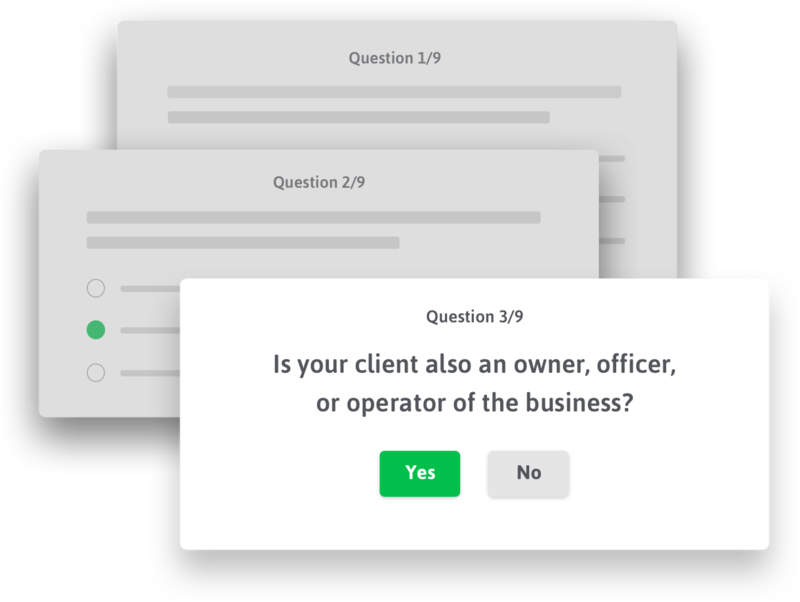 Turn hours of research and data entry into a series of smart questions, modify yours answers if your client’s situation changes and see the updated results in real time. Whether you’re new or seasoned, complete tax resolution work with confidence. Ensure you’ve included the right details for any tax relief scenario that comes your way with our letter templates. Navigate complex calls with the IRS and quickly get requests approved with our step-by-step call discussion guides. Move forward with confidence knowing our letter and call templates were created by seasoned tax professionals and former IRS employees. Instantly auto-populate every IRS form applicable to your case, including supplementary schedules. Edit source forms to automatically update all relevant forms across the case. Access up-to-date federal and state forms for businesses and individuals all within the app. Build a successful case with step-by-step instructions, summaries, and resources for each resolution scenario. Tap into a community of tax resolution experts to seek advice and discuss best practices. Tune into weekly webinars on a variety of tax resolution topics, from basic to advanced. Learn from leading experts and earn CE and CPE credits in the process. How easy is the client survey? The survey only asks easy-to-understand questions that are relevant to your client’s situation. 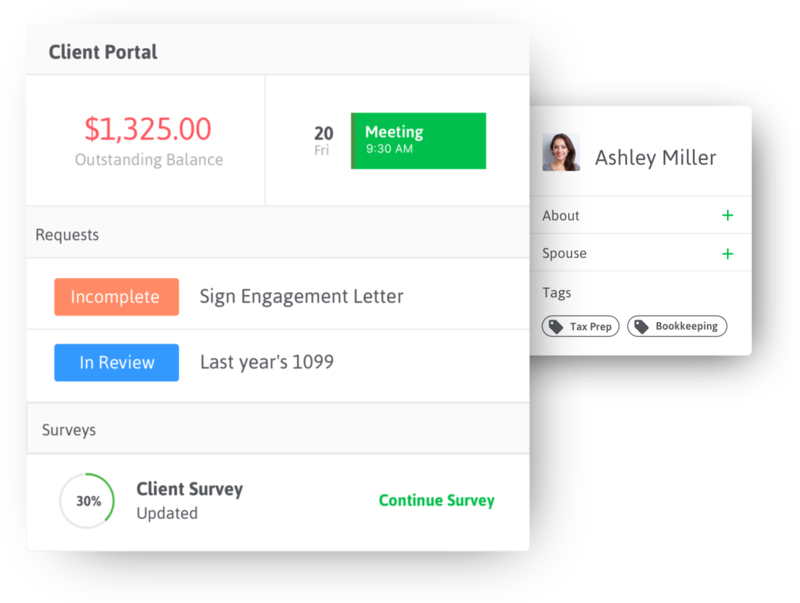 You can even check your client’s progress through the portal. What forms will Canopy auto-populate? 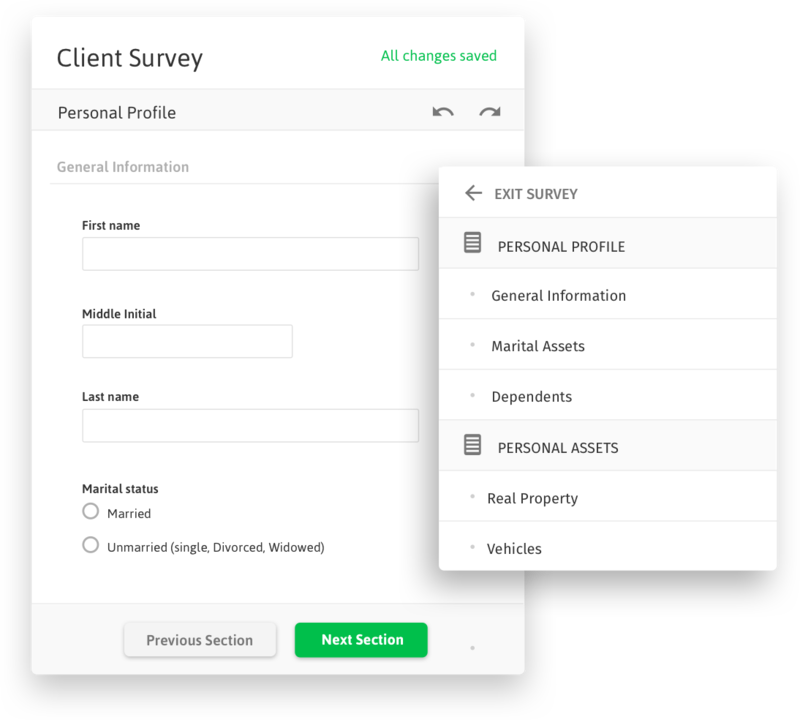 Every state and federal form you need for your case will automatically be auto-populated with the information from the client survey and source forms. What happens if I discover a change in my client’s financial situation? 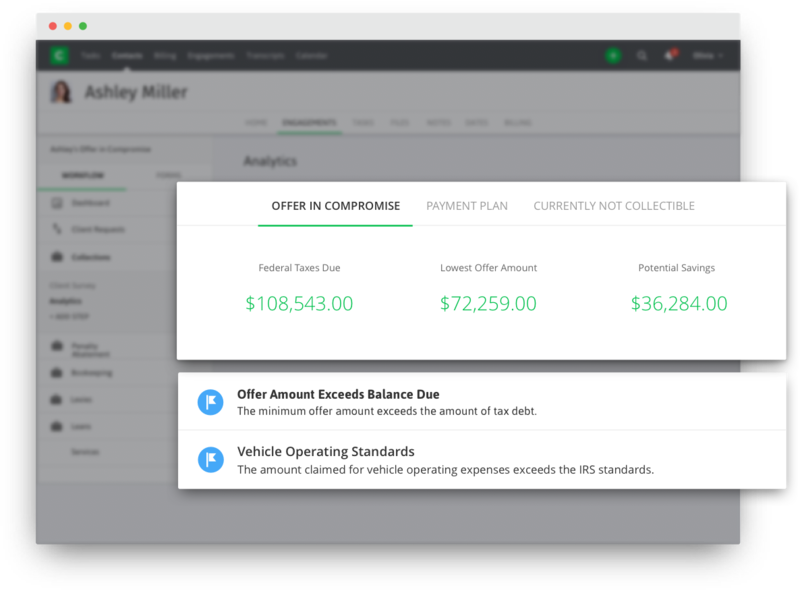 Canopy automatically calculates eligibility for Offer in Compromise, Installment Agreement, and Currently Not Collectible status and populates every relevant form. If your client’s new situation changes the outcome scenario (e.g. Offer in Compromise to Installment Agreement), you can easily select the applicable IRS forms, which will be auto-populated without additional work.